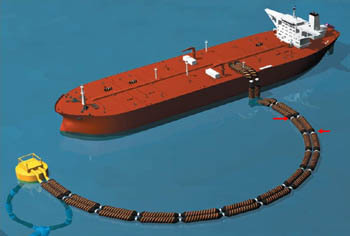 Single point mooring (SPM), Floating Storage and Offloading (FSO) and Floating Production Storage and Offloading (FPSO), Floating Storage Unit (FSU) and other offshore oil terminal production and bunker floating hose strings. 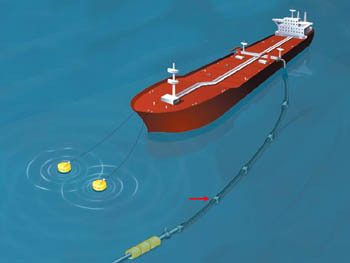 FPSO, FSO, FSU and other offshore oil terminal product reeled and in-air and submerged catenary hose strings. Underbuoy and Conventional Buoy Mooring (CBM) and Multi Buoy Mooring (MBM) submarine hose strings. Subsea and riser high pressure live crude flexibles. Installation position of Marine Breakaway Couplings (MBC) at a Single Point Mooring (SPM) in a staggered configuration between the 3rd and 4th hoses and 4th and 5th hoses from the tanker manifold. 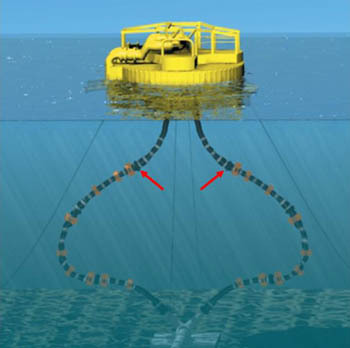 Installation position of Marine Breakaway Coupling (MBC) at a Conventional Buoy Mooring (CBM) between 1st and 2nd hoses from a Pipeline End Manifold (PLEM). Installation position of Marine Breakaway Coupling (MBC) at a Floating Production Storage and Offtake Offloading (FPSO), Floating Storage and Offtake Offloading (FSO), Floating Storage Unit (FSU) between 3rd and 4th hoses from tanker manifold. 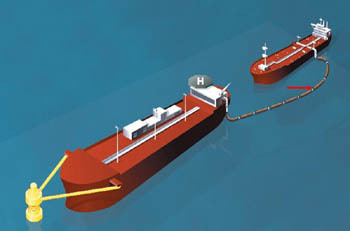 Recommended installation position of Marine Breakaway Coupling (MBC) at a Single Point Mooring (SPM) Terminal on Underbuoy Hoses between 1st and 2nd hoses from the buoy.